Stunning large unset Black Onyx stone is wrapped in lovely sterling silver. 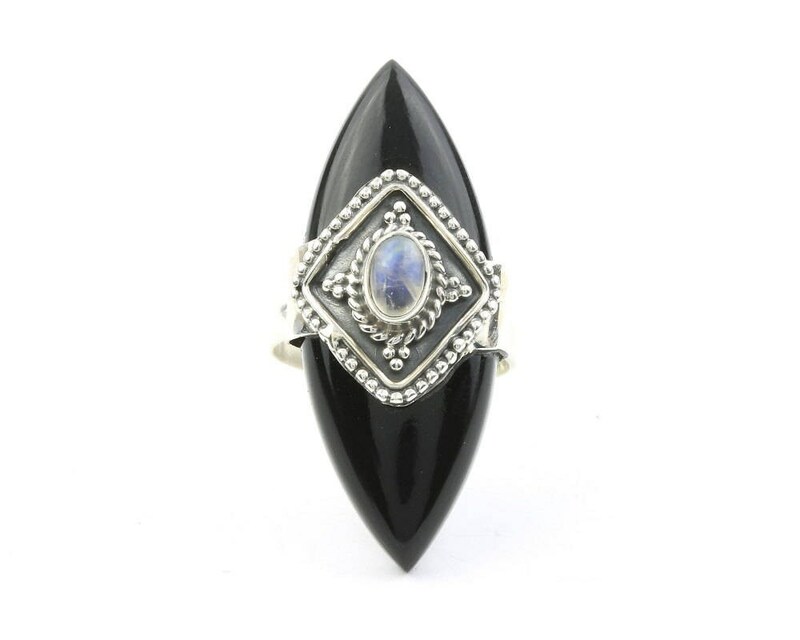 Sterling silver center is covered in gorgeous silver bead detail and Moonstone accent. 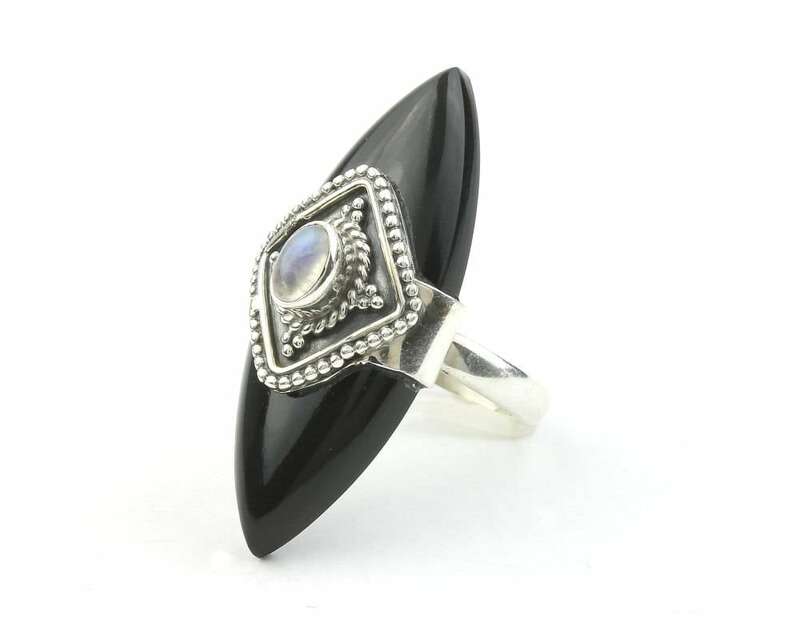 Gemstone is Black Onyx and Moonstone. The most amazing ring, thank you, love it!!!! definitely a favorite Shop. Beautiful ring; arrived quickly and packaged well. This ring is even more beautiful in person! Arrived fast, and is now my favorite ring! This is my third purchase from WearRaw & I am beyond impressed. This ring is beautiful, it fits nice on my finger & is just the right size. It is way more gorgeous in person. Highly reccommend this shop!